Marianna: "This outfit. I got off of work at 6 and I wanted to be super comfortable today. So I chose all my most comfortable items." Noelle: "I'm going to a wedding today! Of my friend and his dog - so I got dressed up." Okay, first thing: yes, A Clockwork Orange was totally mentioned during the interview portion of picture taking (and yes, later I thought of PeeWee Herman), moving along... 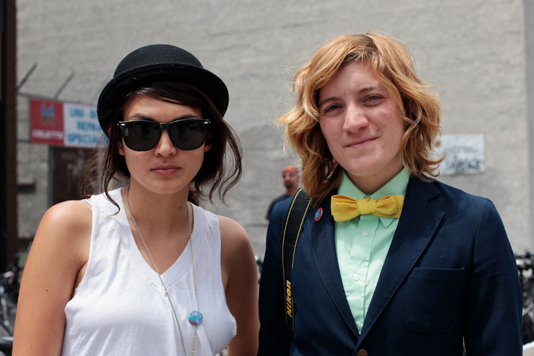 I like how some women just rock menswear all the way. 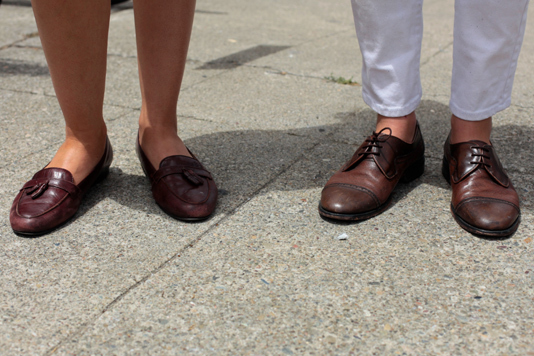 Really good looking womens' shoes that fit the whole menswear thing without looking masculine. 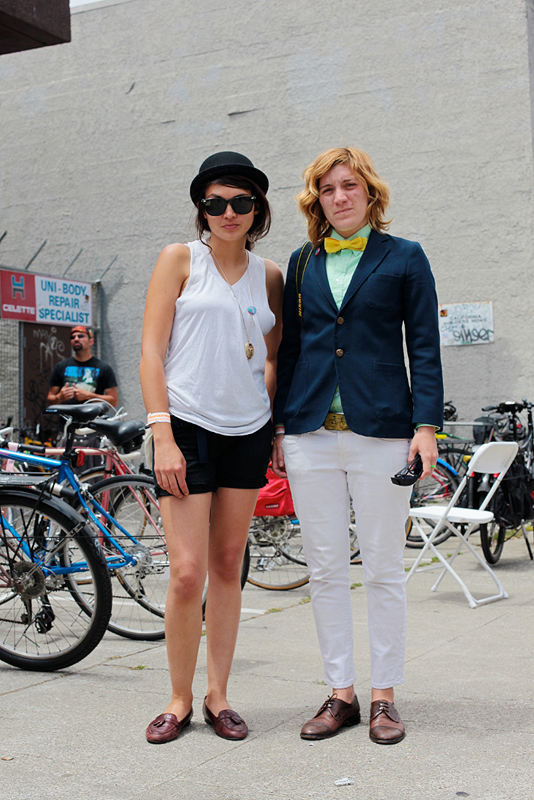 I, mean, check out that two-color leather on the oxfords and how on-trend are loafers now? I love the blazer & bow tie.